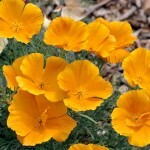 California poppy an oldest North American natural remedy help treat insomnia and other sleep disorders. 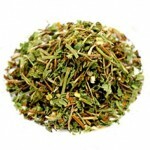 The herb is actually a gentle sedative that reduces anxiety and stress. 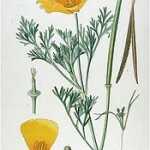 California poppy is mostly confused with conventional opium poppy. Although their traditional uses are quite similar and there is a little similarity in name too but there main alkaloids are quite different. California poppy commonly addressed as golden poppy because of its flowers; that are beautiful orange color. It is among the top herbs that are known as the most effective sleep inducers and generally advised as an alternative medicine for Insomnia. 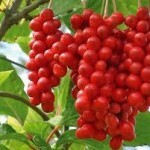 Its major health properties include sedative, antispasmodic in action and analgesic. Although, California poppy belongs to the poppy family but it contains no real opium that causes impairment of mental abilities. It is not a taboo like the real opium and is frequently used for various physical and psychological disorders including the sleep disorders like insomnia and incontinence in children. With the spread of words it has been researched and experimented for few other disorders that are caused due to anxiety and stress. It works best for the Insomnia, ADD and ADHD; the behavioral disorders commonly found in children and adults. California poppy has also been proven effective in memory and concentration issues in the elderly. 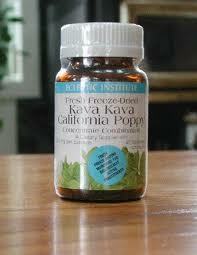 California poppy is now easily available in several different forms such tincture extracts, capsules or dried leaves. There is no standard recommendation for its use. You may take it as tea, smoke or capsules. Its tea diffusion can easily be made by steeping only 2 grams of dried leaves for each 150 ml. of water. You may take it 2 – 3 times daily. 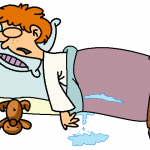 People who are suffering with insomnia or other sleep disorders usually take it in the evening, an hour or two before going to bed. 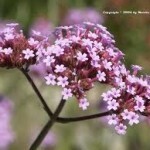 Its tincture extracts are mostly taken for mild pain. In the entire experimental studies and anecdotal reports there has been no sign of any toxicity. The best thing about this plant is that it is considered safe even for a child. There are no known side effects with its normal intake. However, it is restricted for women who are pregnant or breast-feeding. There are no common co-used drugs that are recommended through studies as there are several medications used for insomnia and other sleep disorders may interact harmfully with California poppy. Although the California poppy itself possess sedative properties but results of drug interactions are seen when it is taken with a medication that create sedative effects, such as antipsychotic medications, antidepressants and alcohol. Some antidepressant play a therapeutic role for certain sleep disorders such as insomnia but they should not be taken with California poppy as this drug interaction may develop some serious side effects.